Pups Jester (left) and Mia (right) were two of three dogs that died after walking along Yeppoon’s Bangalee Beach this week. PETER Gibson had no idea an innocent Sunday stroll along Yeppoon's Bangalee Beach would end in tragedy and heartbreak just an hour later. 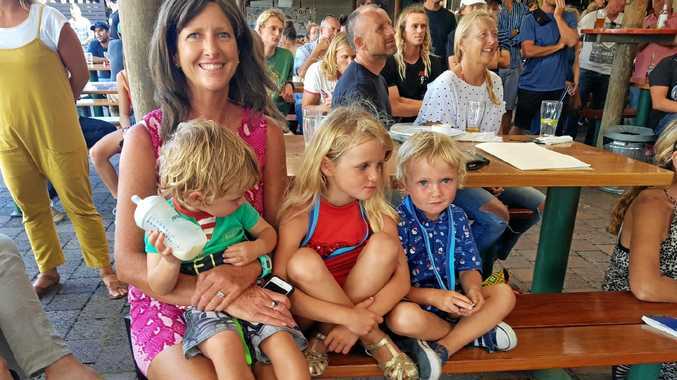 Peter and his two young daughters had taken their new puppies out for a walk at the beach about 1.30pm on Sunday; but by the time they reached the end of the beach, one dog had already collapsed and another was seriously ill. 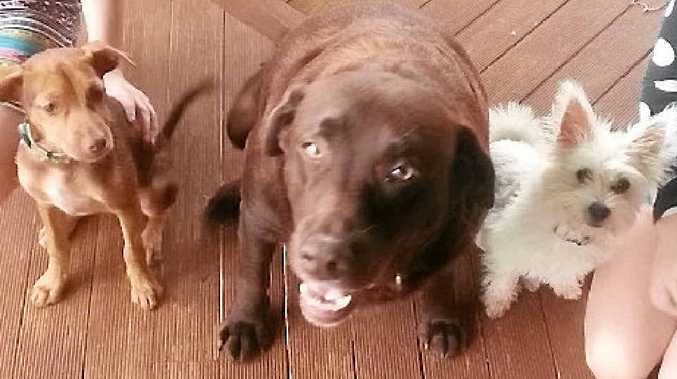 The dogs both died shortly after arriving at the Yeppoon Vet Surgery, where the cause was identified as a bait poison or natural toxin. A third dog has died since, after walking along the same beach. Peter said the pattern was concerning and the loss of the new pups was particularly devastating for his young children. "These dogs were only nine months old, and when we got off the beach they just plummeted," he said. "I just really don't want it to happen to anybody else... and the possibility of human contact with something could be catastrophic. If it were eight years ago those kids would have been the ones sitting on the sand." Vet nurse at Yeppoon Vet Surgery, Jo Kunkel, said they could not be sure if it was a case of intentional baiting. "We're not sure at this stage, it's obviously something that is working very quickly," she said. "We think at least a couple of weeks, we advised no one to go near the beach... by the time they see signs it's too late."